Scroll down for Twitter chat details! Quite possibly one of the most anticipated Southern debuts of the fall — and certainly the spookiest — The Gates of Evangeline combines a mother’s grief with eerie premonitions, a historic plantation and long-buried secrets of love, money, betrayal and murder. 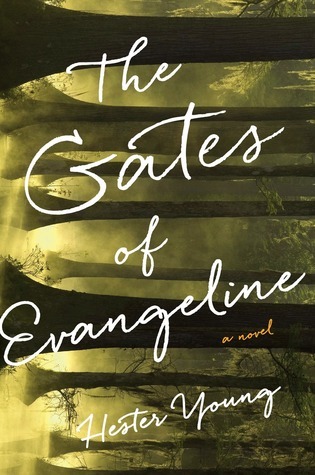 The first book in what’s being called the Charlie Cates trilogy, Evangeline was inspired by one of Young’s own dreams of a young boy in a Louisiana swamp asking to tell her how he died. 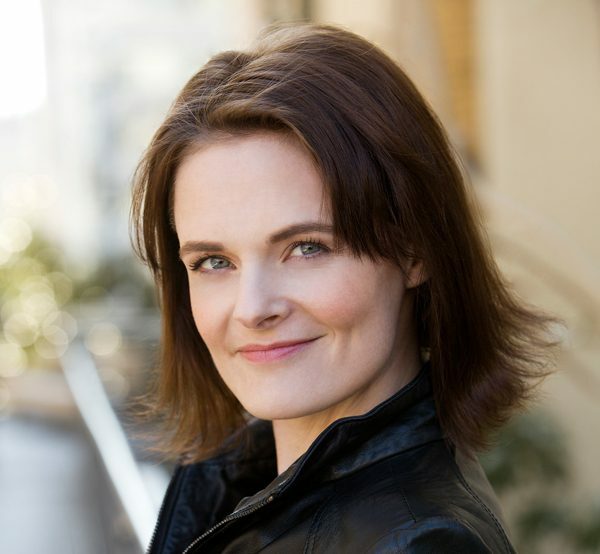 Young says she didn’t intend to write a trilogy but became captivated by her main character Charlie’s voice and couldn’t leave her at just one book. Although she wasn’t familiar with the term Southern Gothic when she set out to write this book, Young has been a reader of the genre for a long time, inspired by the work of Tennessee Williams and Alabama horror writer Michael McDowell. Although she lives in New Jersey, Young has family in the South and says she fell in love with the people and landscape of Louisiana — much like Charlie does in the novel. She does reveal that the next installment of Charlie’s trilogy, due out next summer, will have a very different setting, but readers can expect the same ominous tone and more ghosts in what we predict will become an important addition to the Southern Gothic genre. EZB: You were born in Boston and now live in New Jersey, yet you’re writing a novel set in the very Deep South. How did you come to write a story about South Louisiana, and how often have you visited the state? HY: I’ve always been drawn to the South. My mother grew up in Tennessee, and at various points I’ve had family in Alabama, Arkansas, Florida and Louisiana. The setting of the novel wasn’t part of any grand plan, though. The swamplands of Louisiana actually came to me in a dream one night, when I saw a young boy in a rowboat. He leaned toward me and said the unforgettable words, ‘Let me tell you how I died.’ I knew I had to write about this boy, and I knew his story took place in bayou country. I started writing this novel in 2008, and within months, three different members of my family had landed in Louisiana. My husband and I then ventured out for a series of research trips. I say that like it was work, but it was all pleasure. I fell in love, not just with the incredible landscapes, but with the people. Coming from the chilly northeast, I can’t get enough of the warmth and welcome I always encounter down South. For now, my husband’s job has us tethered to New York, but we try to visit our family in Louisiana every year. EZB: The Gates of Evangeline is book one of a trilogy. Did the book start out that way, and why did you decide to keep going with Charlie’s story? HY: I didn’t intend to write a trilogy, but I did feel that Charlie’s premonitions could involve her in other interesting adventures. She begins the novel in a place of desperation and grief, but by the end of the book, her life has taken a dramatic and hopeful turn. I thought readers might enjoy following her into this next phase of life. Nowadays, the first question readers usually ask me is ‘When is the second book coming out?’ I think that’s a good sign! EZB: Tell us about your grandmother’s and your own premonitory dreams and how those influenced your story? HY: I’ve always had unusually vivid dreams, and I’ve come to accept that sometimes the things that I dream about came true. For example, I dreamed about getting stabbed to death the night a young woman in my neighborhood was murdered in the same fashion. The idea that one’s dreams might tap into something true has never seemed all that strange to me. My grandmother’s story, though, has never ceased to haunt me. In 1956, she began to have a recurring nightmare about her son Bobby falling from a window. And one day, while in someone else’s care, he did. Bobby was just 4 years old when he died. I started the novel with my grandmother in mind. What if this woman has lost her 4-year-old son, quite suddenly, quite tragically? What if she has dreams that give her an opportunity to help other children? What if that little boy in the Louisiana swamp — the one I dreamed about — needs her help? And the book began to unfold from there. My favorite part of my recent book tour was hearing from many readers who have experienced premonitory dreams of their own. I think the phenomenon is more common than you’d think. EZB: You seem to have a direct connection to Charlie, her struggles and her subconscious. How long did you work on this book, fleshing out this character and basically getting to know her? HY: I worked on this book on and off for nearly six years. The thing that always kept me coming back, even after a year or more away, was Charlie’s voice. Despite everything that’s happened to her, she never feels sorry for herself. I loved watching this hard, judgmental New Yorker slowly open herself to the people of Chicory and allow for the possibility that some things outlast even death. EZB: Most of your book is set in the fictional town of Chicory, Louisiana, and Evangeline Plantation. Is this plantation based on a real spot, and how much research did you do to learn about plantation life? HY: The town of Chicory itself is quite loosely modeled after New Iberia. 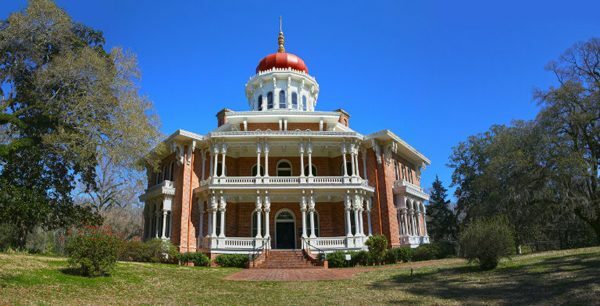 In creating Evangeline, I did tour some historic Louisiana plantations to get a feel for the architecture and grounds. Because Evangeline is a somewhat modernized family home, however, the most helpful place I visited was Oaklawn Manor, the Franklin estate of former Gov. Mike Foster and family. The Fosters generously open their home to the public, and I was fortunate enough to view the house and explore the grounds a few times in different seasons. I not only got a sense of what a currently occupied plantation home might be like in present-day, but was also able to speak with the housekeeper about what is required to run such a property. The divide between the owners and the help remains a very interesting subject to me, and I wanted to play with that in the book a bit. 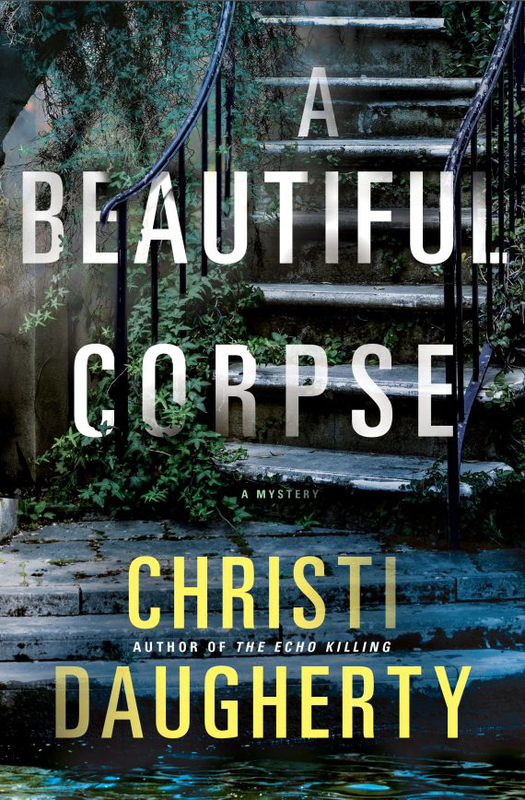 EZB: There is definitely a spooky, Southern Gothic undertone to this novel. Are you a big fan of the genre, and who are some writers that have influenced you? HY: I never knew the term ‘Southern Gothic’ until my agent used it, but I’d been reading and absorbing the genre without realizing it for a long, long time. I have loved the work of Tennessee Williams, for example, since high school. His dreamy, lyrical language and intimate portraits of family dysfunction really resonate with me. As a former English teacher, I’ve taught To Kill a Mockingbird at least a dozen times, and I always find new things to enjoy about Lee’s writing. Savannah has been calling to me ever since I read Midnight in the Garden of Good and Evil many years ago. And my greatest mentor in college was the Alabama-born author/screenwriter Michael McDowell. He passed away in 1999, but I will always admire his use of Southern settings to evoke a sense of Gothic horror. EZB: What can readers expect in the next installment of your trilogy, and when will book two be available? HY: I think we’re hoping for the second book to come out with the paperback version of the first — next summer, perhaps? With publishing, these things are never certain. Readers can expect a very different setting in the next installment, when Charlie’s efforts to help a child force her to confront the ghosts —metaphorical, but perhaps literal, too — of her own childhood. Hester Young photo by Francine Daveta Photography. 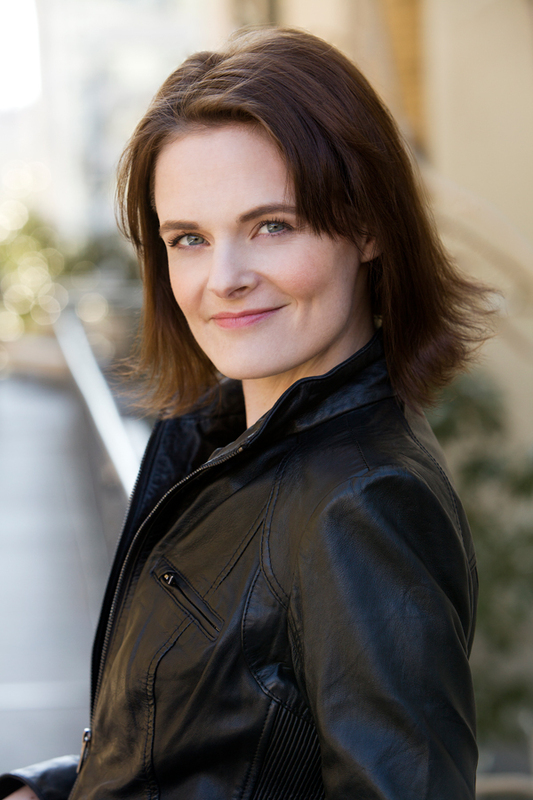 Chat with Hester Young Thursday, November 5, from 7-8 p.m. CST (8-9 EST) using the hashtag #southernlit. Sign into our chat room here for easy access.